Step inside Diocletian’s Palace (a Unesco World Heritage site and one of the world’s most impressive Roman monuments) and you’ll see dozens of bars, restaurants and shops thriving amid the atmospheric old walls where Split life has been humming along for thousands of years. There is a Cafe bar at the ground floor of the Hostel and it is possible to rent a bike. 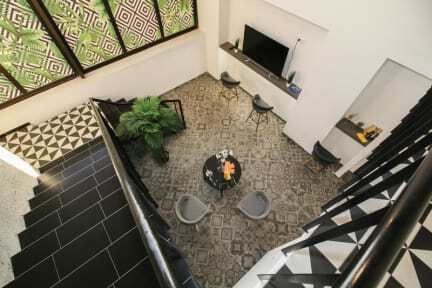 Due to the properties excellent location everything you need for a pleasant stay can be reached in less then 200 m. Hostel is situated just 10 meters away from the closest market and 100 meters from the bus stop. Restaurant is only 125 meters away while beach and a ferry are at 350 meters distance. Bank and a post office are 500 just meters away. Tourist info, ambulance and pharmacy are within the range of 600 meters. Airport is 23 kilometers away. We offer shared and private rooms. All the units are air conditioned and towels are provided. At the hostel, you can also make use of the common kitchen and the shared lounge area. Pets are allowed to stay upon request and free of charge. The reception is open from 08:00 to 20:00. 6 bed dorm room was actually a 8 bed dorm room. 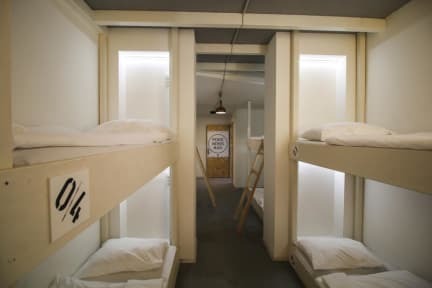 They say they keep two beds just in case people show up, which is every night.